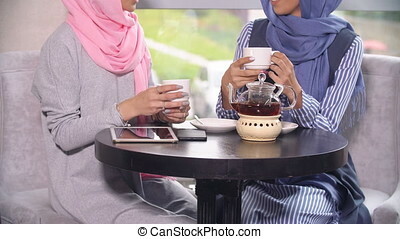 Business muslim women in cafe. 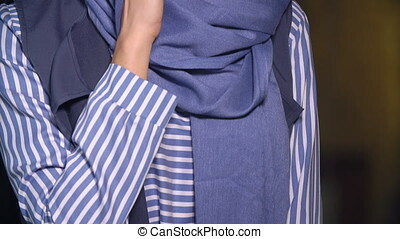 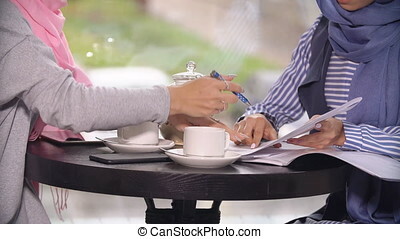 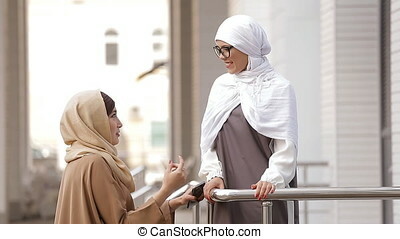 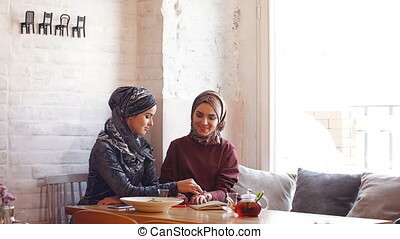 Business meeting of two muslim women. 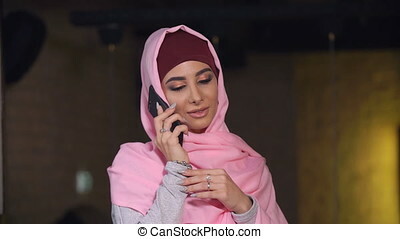 business women in hijabs. 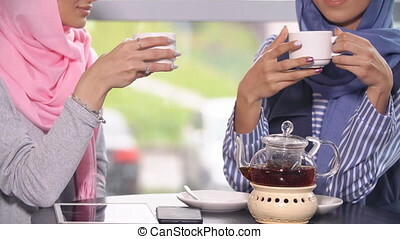 Business meeting of two Muslim women. 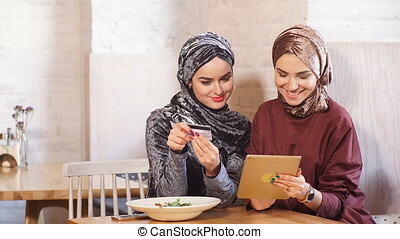 Business women in hijabs. 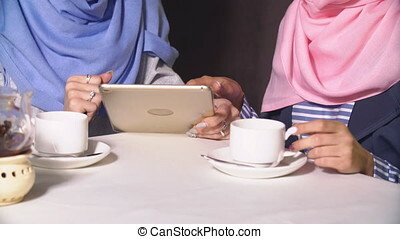 Muslim women talk in cafes and use mobile phones. 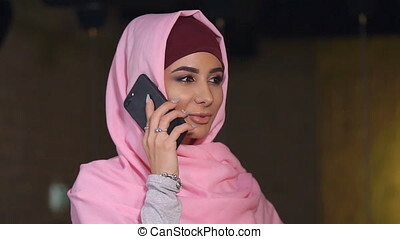 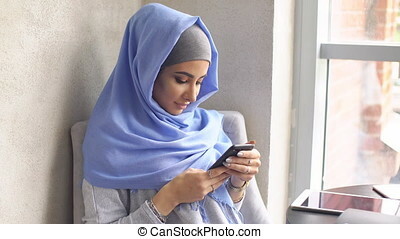 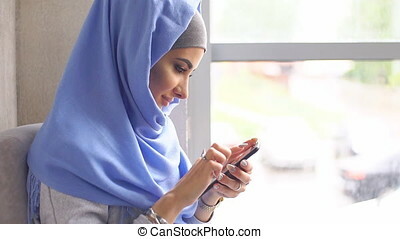 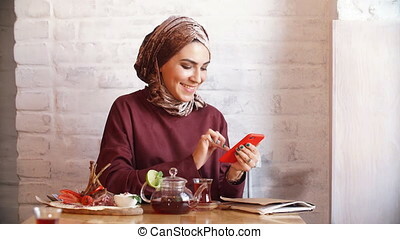 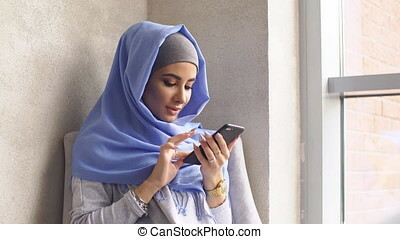 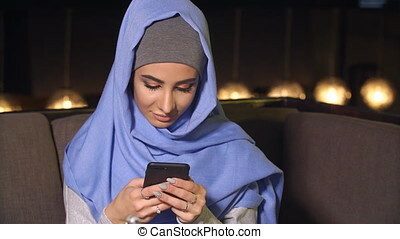 Beautiful Muslim Girl Using Smartphone in Cafe. 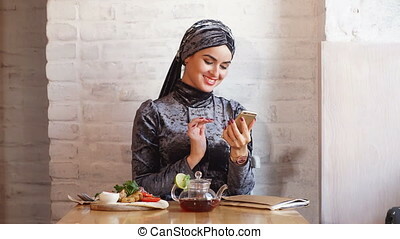 Beautiful Muslim Girl In Cafe. 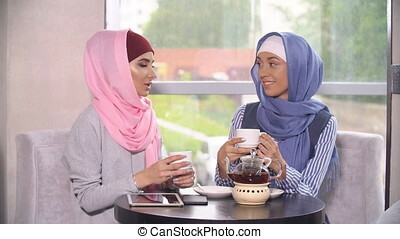 Two Beautiful Muslim Girl In Cafe. 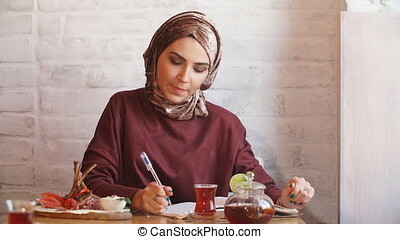 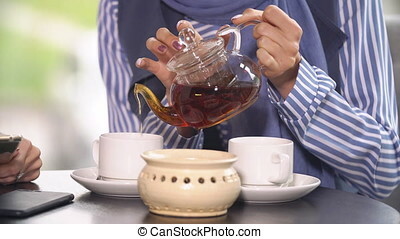 Muslim Girl Drinking Tea In Cafe. 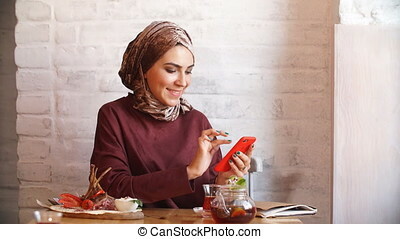 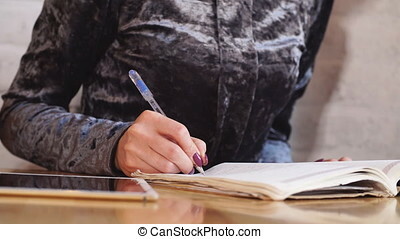 Muslim Girl In Cafe Uses Tablet.